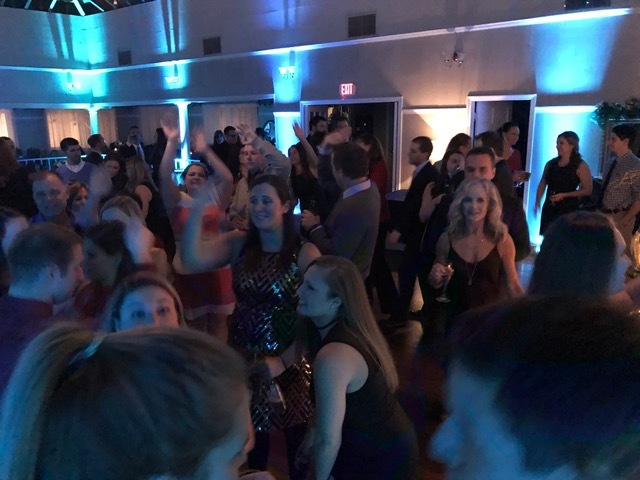 We’ve been entertaining, emceeing and DJing the Holiday Parties for Excel Orthopedic Specialists for 10 years now, and it’s always a great party! The event was held at the Fairways at Woburn Country Club, a quaint venue located north of Boston with beautiful grounds and fantastic food. The reception room was festively decorated with a beautiful Christmas tree next to a working field stone fireplace. There were three locations set up in the venue for the guests enjoyment. Cocktails were served in the bar area, with a photo booth for everyone to have fun and take memories home. There was a chill lounge set up outside in a heated tent area with signature drinks and desserts. 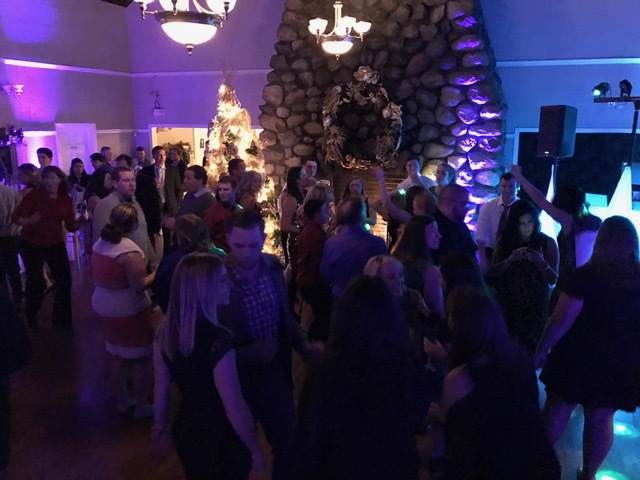 Dancing and food was held in the reception room with Christmas tree, warm fireplace and vaulted ceilings. As always the food was fantastic, they had a buffet of fish and chicken and a carving station of beef and turkey, truly a great meal! Terry and the staff at the Fairways at Woburn Country Club do an amazing job, we really enjoy working in rhythm with them. My favorite moment of the night was when the principles of the company took over the microphone and got into action! They pulled raffle tickets for big prizes, the employees got so excited and had so much fun with it. Another highlight of the night was the return of the legendary scavenger hunt, which had gone missing for over 5 years! 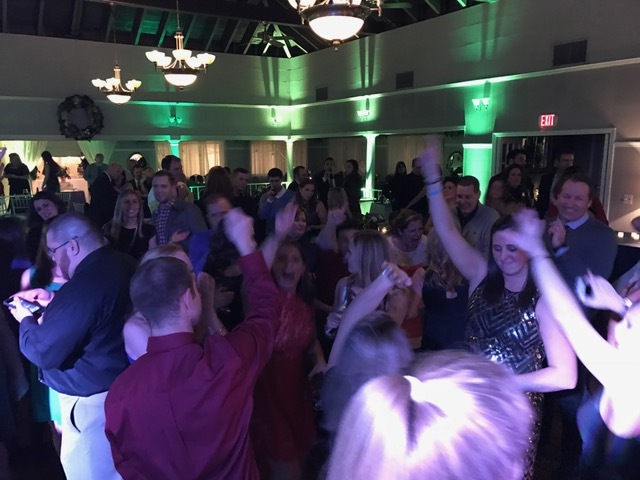 The crowd danced all night, the dance floor was packed from right after the raffles all the way through the end. 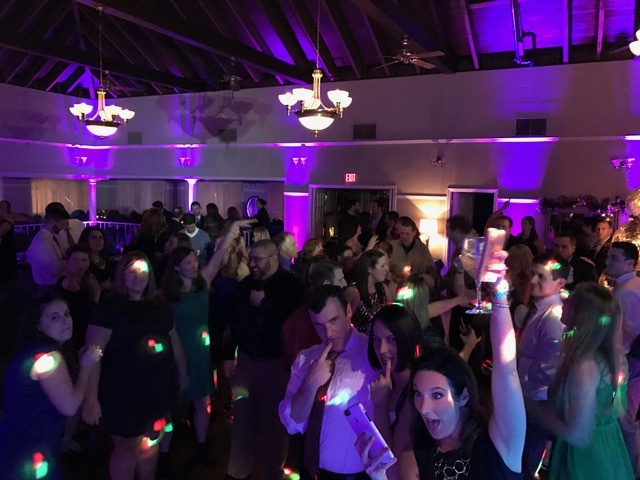 We played mainly 80’s music to today’s hits along with guests requests for all to enjoy. Big thanks to Dave Abbott for assisting as rodie! 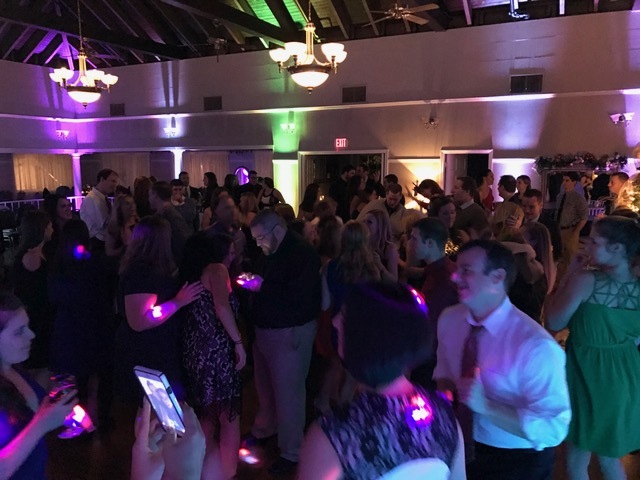 Contact us today about DJ Entertainment & Uplighting for your Corporate Event!